CLASSIC FLORAL DESIGN is a professional local florist proudly serving Morris, IL and surrounding areas. Our friendly and knowledgeable staff is ready to assist you when you need flowers delivered locally or anywhere in the world. Our goal is to always provide you with the best value in floral design. Know that we are not some nameless, faceless internet store. One-hundred percent of the money that you spend goes into the piece or pieces you purchase. That is a guarantee! Whatever the occasion, let one of our talented designers create a beautiful, eye-catching fresh arrangement that's customized just for you! We offer traditional and contemporary floral design styles that are appropriate for birthdays, anniversaries, get well, new baby, sympathy, holidays or just because. Whether your wedding or party is formal or casual, a small gathering or the social event of the year - we can help you plan an event that's a "blooming" success! Call us in advance at (815) 942-9333 to schedule your consultation. Browse our wonderful green plants, blooming plants and dish gardens for a gift that adds life to any room or office. One of our gift baskets of fruit and goodies would make a thoughtful and tasty choice any time of the year. We also offer gifts for any age or occasion, including plush stuffed animals, balloon bouquets, candy & chocolates, silk arrangements, baby items, home décor, scented candles and more! For memories that last a lifetime, contact CLASSIC FLORAL DESIGN today! We are happy to deliver fresh flowers to the doorstep of your loved ones. 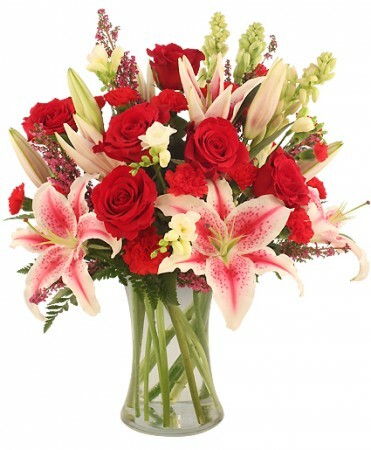 You can call us at (815) 942-9333 or shop flowers directly online! We offer a secure online experience 24/7.